Uranus is a funny planet. And not just because it has a vaguely innuendo-y name in the English language. It is absolutely peculiar in its own right. One of its weirdest features is its tilt. 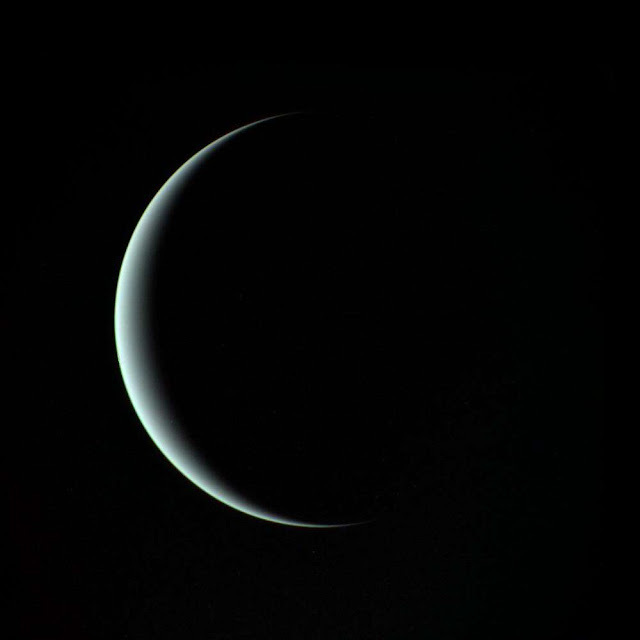 Uranus rotates around the Sun on its side, with each pole facing the Sun for 42 years before switching. The cause of this weird tilt has long been suspected to be a collision, and a new study gives details of the impact. 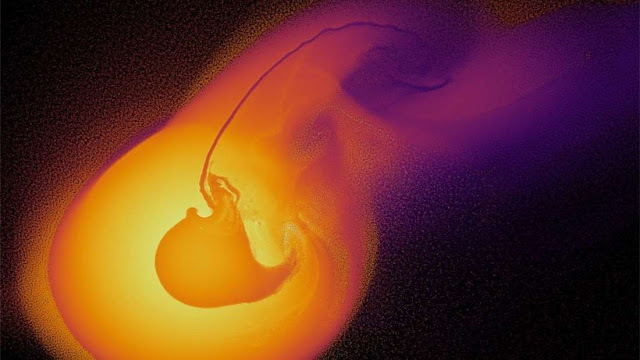 As reported in the Astrophysical Journal, an international team used sophisticated simulations to reproduce what has been observed on the ice giant planet. After using 50 different impact scenarios, they believe that Uranus was hit by an object roughly twice as massive as Earth, most likely made of rock and ice. This happened around 4 billion years ago when the Solar System was still quite young. The impact didn’t just influence the tilt. The researchers believe that it can also explain the surprisingly low temperature of the planet. The debris from the impactor might act as a thermal shield, trapping the heat from the planet's interior and making the outer atmosphere extremely cold. “Uranus spins on its side, with its axis pointing almost at right angles to those of all the other planets in the Solar System," lead author Jacob Kegerreis, PhD researcher at Durham University, said in a statement. "This was almost certainly caused by a giant impact, but we know very little about how this actually happened and how else such a violent event affected the planet. Based on the simulation, the most likely scenario has the impactor delivering a grazing blow to Uranus. It affected its tilt but left most of its atmosphere in place. The impact might also have played a role in the formation of the planet’s rings and moons. Such an impact could have thrown enough material into orbit to coalesce into some of the inner moons. It might have also altered pre-existing moon orbits. Large impacts are a frequent happening in the early Solar System. Our own Moon is the result of a cataclysmic impact between the Earth and a planet the size of Mars. Uranus is similar to the most common type of exoplanet we have discovered so far, so such a study gives us a better understanding of distant planetary systems and the likelihood that they can host life.